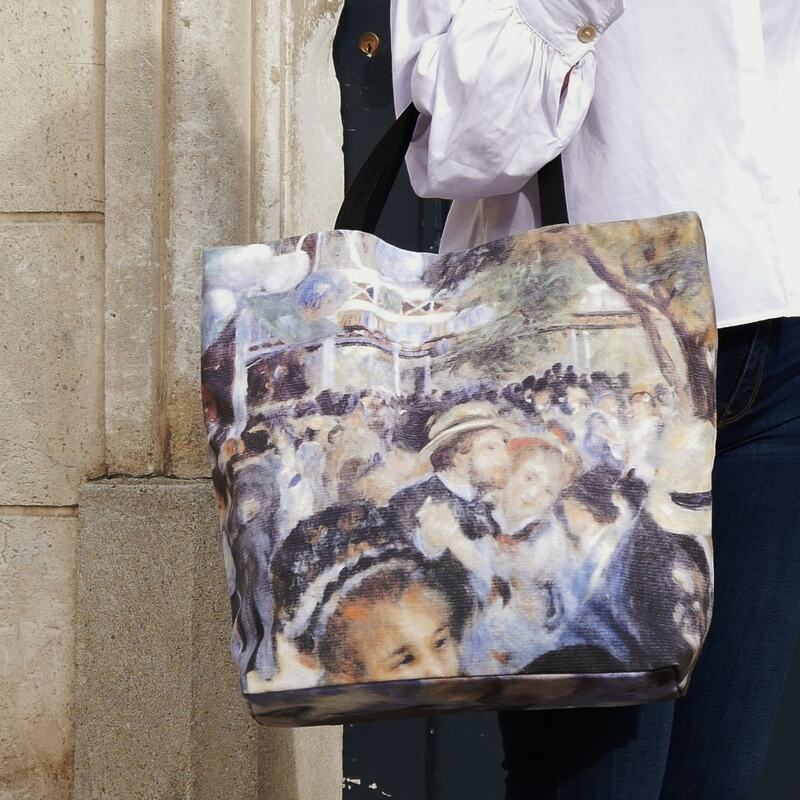 Printed tote bag , beach tote, auguste renoir painting copy, casual chic bag made in france. Package shipping 48h. 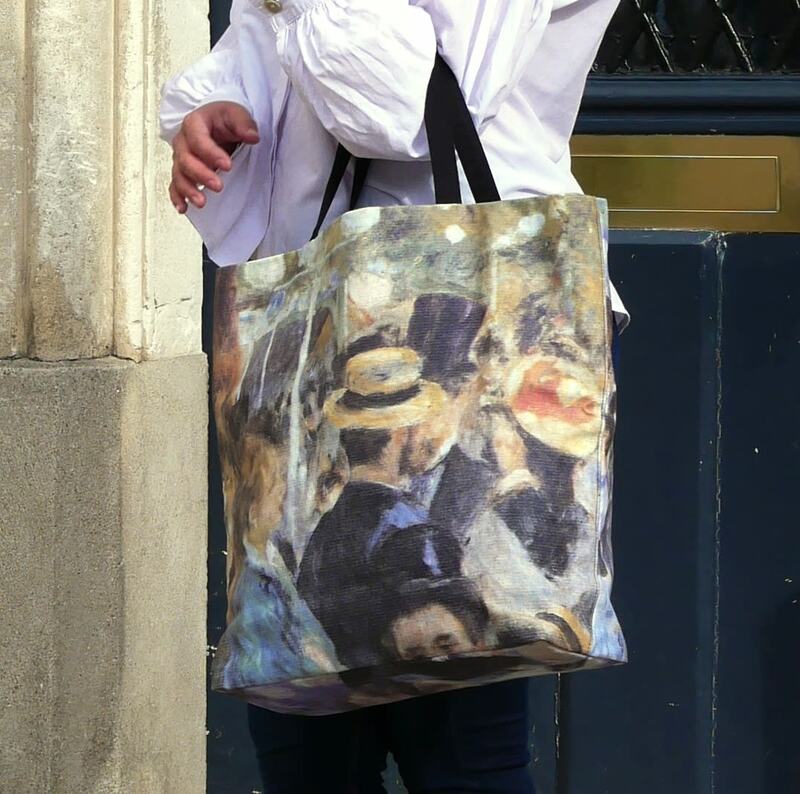 Printed tote bags made from Auguste Renoir painting "Dance at le moulin de la galette". The painter made in 1876 and it's exposed in Orsay museum of Paris. Its esthetical and luxurious qualities suits you it in situations which need elegant ladies handbags. It is a casual chic, very chic and trendy bag. It is roomy. To be convenient, you find inside two pockets, one closes with a zip. 2 ties help closing the bag or attaching littles things (like keys). The outside fabric is from thick cotton. The bag is underfaced, and lined with beige gabardine. Cleaning advice: It is perfectly washable in cold water, the picture does not fade away. You can use you washing machine with gentle selection and low spin. No dryer.